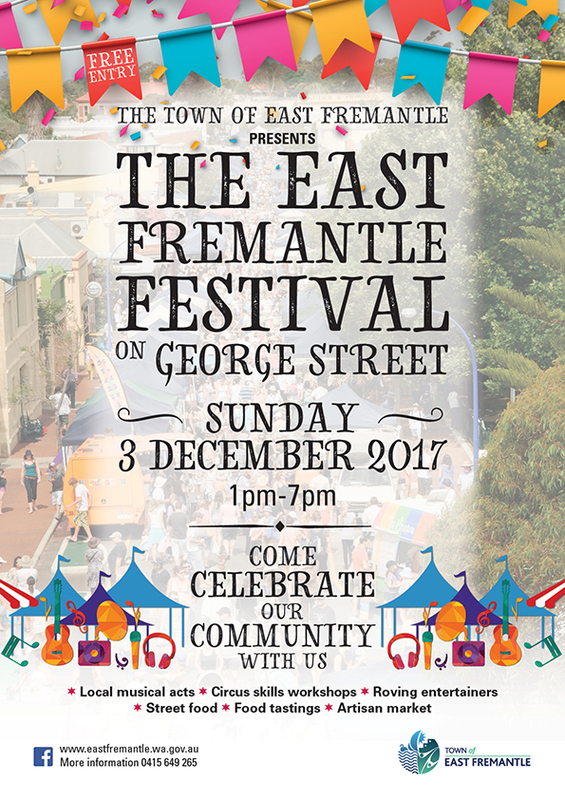 East Fremantle's cafe strip on George Street, will once again be the location for the annual East Fremantle Fesitval, Sunday 3 December between 1pm-7pm. Residents are reminded that George Street will be closed from East Street to Duke Street from 7.30am-9.00pm. This free street festival will feature music, street food, an artisan market and free kids entertainment. The George Street restaurants, cafes, stores and businesses will also be open for business.